So it’s flu season and I am getting asked a lot what people should have on hand. My 5 year old Ava is on the tail end of what I’m pretty sure was the flu but it wasn’t bad at all and she is doing great now because of the herbs. My answer to what to do about the flu may be surprising – if you have a good immune system – lots of juicing, raw foods, elderberry syrup, vitamin C, a glutathione patch, rest and hydration. That’s it. The reason for this is because when we get sick it’s like sending our immune system to the gym to work out, if we gun down the offending virus with supplementation, we are making our immune system lazy. Theory and practice are two different beasts, however. So while theory may dictate minimal support and let your body fight the virus, the reality can be quite different. While Ava’s immune system is much stronger than 2 years ago, she still has a ways to go and I would not be comfortable having her system wage war against the flu without a boatload of herbs on board. And none of my clients want to take chances for themselves and especially when it comes to their kids and I get it! In fact, I rarely take my own advice on this – I am too busy to be sick and these days I am usually not sick for more than 24 hours because of the herbs I take. Not the best in the long term for my immune system but in the short term totally awesome for a busy herbalist mom! Without further ado, on to what to do for the flu! The following supplements are good to have on-hand, because the sooner you can support the immune system and attack the virus, the more expeditious the recovery process and the less likely complications will arise. VS-C – This herbal combination is a staple at our house which we use a lot. It is a gentle but potent anti-viral. It was developed by Dr Wenwie Xie MD for use against herpes simplex. Testing in the US confirmed its effectiveness but because the blend of ten herbs was unable to be translated into a synthetic drug, research was abandoned. Dr Xie was in the United States to assist while testing was going on and when research was abandoned, he admired Nature’s Sunshine so much that he gifted them this formula for free. VS-C is helpful for viruses for everything from HIV to the common cold and flu. Dr Xie said that it works better with viruses which are more chronic in nature. He described this blend as bringing the body’s immune system into every cell so that it can hunt down and destroy the hiding viruses. However, for short-lived viruses such as the flu or a cold, he believed it was not as effective. That said, we have used it for verything from Respiratory Syncytial Virus (RSV) to cold and flus as have my clients. Just be aware that utilizing it for short-term acute illnesses like the cold or flu could mean that it may not be as effective if you go to use it for a chronic virus that is hiding out in you or your child’s body such as Epstein-Barr (which can cause mono), molluscum contagiosum, HIV or leukemia. On that note, Dr Mary Reed Gates ND has had several cases of leukemia where she has used therapeutic doses of VS-C to combat leukemia, she used this approach after coming across a medical textbook from the early 1900s which stated that leukemia was caused by a virus. VS-C is a good option for kids and in addition to capsule form it comes in a sweet tasting liquid with kids dosing provided on the label. Garlic – Garlic is an anti-viral, antibiotic, and antiseptic. The first medical textbook known to have discussed its use in medicine was the Collection of Commentaries on the Classic of the Materia Medica (Ben Cao Zhing Zhi Ju), written over 1,500 years ago. A PubMed study (PubMed is the official U.S. Government library of medical research), concluded that supplementation with aged garlic extract improves both NK and γδ-T cell function and reduces the severity of cold and flu symptoms. Garlic is a natural blood thinner so people on blood thinners should exercise caution and consult a Doctor before taking it. For adults I prefer the more potent odorless form, for children I prefer the less potent capsule. If you can stomach it, instead of supplementing you could eat 3-4 cloves daily making sure you chew thoroughly to excrete the powerful infection fighting sulphur compound called allicin! Glutathione when taken orally does not have a good absorption rate and can actually initiate a yeast flare in some people with compromised gut health. I recommend these glutathione patches, you just put them on you on your child’s skin 1-2 inches below the belly button. A great option for kids who do not swallow capsules. Olive leaf – Olive leaf’s primary role is as an anti-viral but it also functions as an anti-bacterial and anti-fungal and for centuries olives leaves have been used to stimulate the body’s immune system. Research suggests that olive leaf compounds enhance the body’s efforts to fight invading organisms via two different processes. 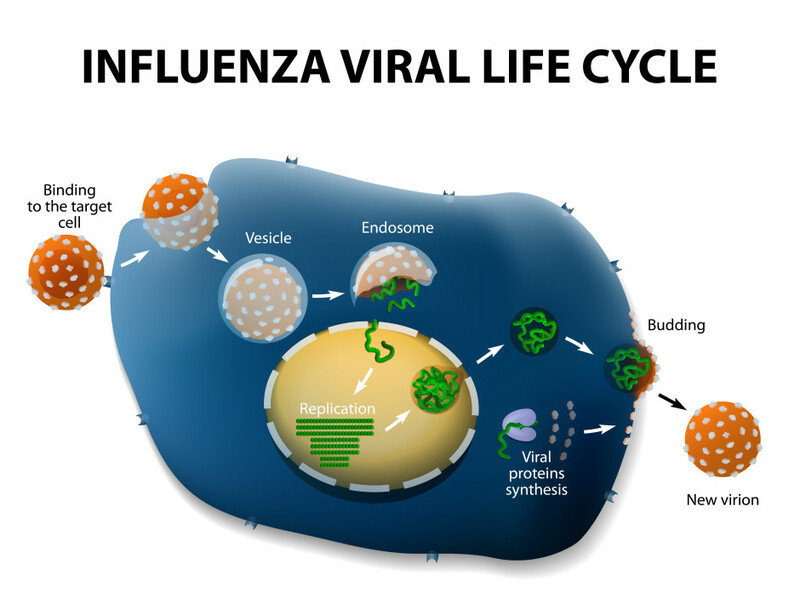 Firstly, they appear to stimulate phagocytosis (the process in which leukocytes engulf and destroy pathogens and debris) and secondly by interfering with the ability of viruses and bacteria to replicate themselves and cause infection. Laboratory studies have demonstrated that oleuropein (the most important constituent of olive leaves), hydroxytyrosol and other compounds found in olive leaves have been shown to be effective against a number of disease-causing microbes, including some viruses that cause influenza. Olive leaf is probably my favorite herb, because over 10 years ago it was part of a protocol I used it to overcome an auto-immune condition I had called sarcoidosis. Olive Leaf was my introduction to the power of Mother Nature’s Plant Medicine. Nature’s Sunshine has a potent form of concentrated olive leaf extract. Echinacea/Goldenseal Combination – This powerful duo is immune stimulating (Echinacea) and infection fighting (Goldenseal). A PubMed study found that Echinacea at early onset of cold or flu symptoms was effective for relieving these symptoms. Goldenseal’s active medicinal compounds are the alkaloids berberine and hydrastine. Most of the research has been conducted on berberine, which has antibiotic, immune-system stimulating and anticancer properties. Berberine in goldsenseal can lower blood sugar so if you or your child has low blood sugar take this with orange juice, watermelon etc and pay attention to the response. The alkaloids are responsible for the herb’s notably bitter taste. Eleven countries (but not the United States) now officially recognize berberine and hydrastine as medicines. This should not be used for more than 10 days. Comes in both capsule and liquid form, with kids dosing provided on the label for the liquid form. Vitamin C – a powerful antioxidant that boosts immunity. Vitamin C supports white blood cells so they can fend off the attack of pathogens and free radicals. This food based, non-synthetic, form of vitamin C, derived solely from plant sources such as rose hip, camu camu and blueberries comes in a capsule or powder. Vitamin C is a water soluble vitamin but cell membrane walls are composed of fatty acids and so it is hard for it to penetrate the cell walls. Oral vitamin C intake has been estimated to have a 20% absorption rate into the bloodstream. By wrapping vitamin C in a fat (lipo) which mimics the materials the cell membranes are comprised of, liposomal vitamin c has a much higher absorption rate. This is the Liposomal vitamin C I recommend. It tastes awful but is potent! Click here to learn more about ordering these herbs or contact me directly. Essential oils which support the body’s immune system during cold and flu season include frankincense, lavender, RC (for Respiratory Comfort), and Thieves. Thieves got its name from the herbal blend used by Thieves who stole from dead bodies during the Bubonic Plague in Medieval Europe but never contracted it themselves. These oils are all available in Young Living’s starter kit. To learn more about the benefits of these oils, support from me or to order them, click here. My first line of defense is nearly always herbs and oils, if that doesn’t work I will add in homeopathics. I have not needed to do that yet with the flu. However, the following may be very beneficial in combating it. Oscillococcinum is a homeopathic made out of duck liver and heart that is often used with great success for the flu. If duck liver and heart are not for you, another homeopathic option is using the nosode influenzinum 30. Depending on your symptoms, gelsemium, aconite or bryonia may also be suitable. Many homeopathic pellets contain lactose and while some people with lactose allergies report no issues using them (you can also make what is called a “wet dose” which is mixing the pellets in distilled water), there is no guarantee that you or your child might not react to the lactose – a lactose free homeopathic option is Genexa Flu and Fix.